This weekend’s March for Science felt familiar, but not because of its similarity to the Women’s March. A lot of the placards felt like S. Harris cartoons. Sidney Harris, who generally signs his cartoons with his first initial, is one of those guys I read religiously when I was in physics and then subsequently forgot about. But there’s a real resonance in his cartoons about climate change. New York Times: An Ella Fitzgerald Centennial. Just got done driving my family around Washington, DC for a few days. Slowly trying to reenter working life, but it’s challenging to focus for more than a few minutes at a time, which is about the length of time my kids will let me focus on anything. 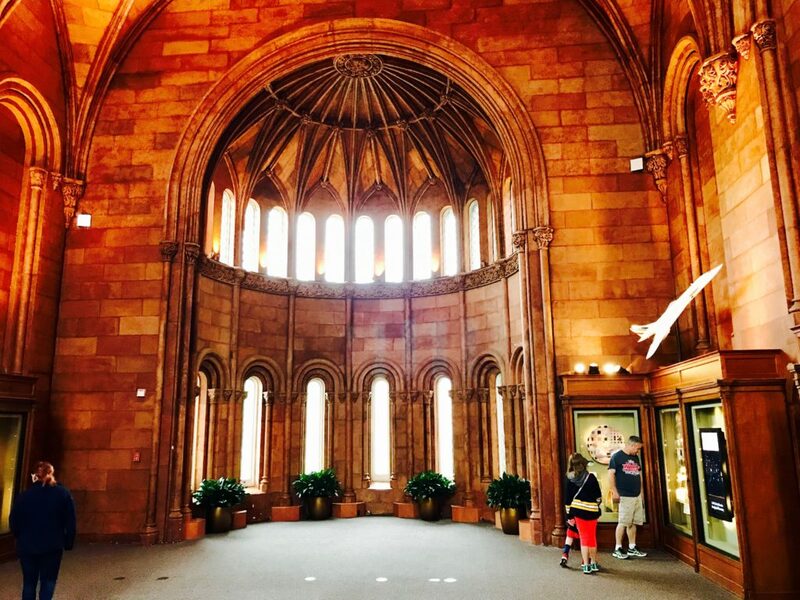 But there were some cool things along the way, including what may now be my favorite room in the Smithsonian, the exhibit room inside the Castle (above and below). Note the Concorde model below and the flock of birds above. That album, by a kid’s musician named Joe Wayman, squirmed its way into my psyche through repeated listenings in cassette players at home, Pop-Pop’s, and in our car on long trips between Newport News and Paradise. Having grown up on a diet of my mom’s kid’s music, much of which dated to her days as a music teacher in the 1950s and 1960s (think “Tubby the Tuba”), the smart-assery around the edges of “Recipe for Red” and “Mellow Yellow Coot” appealed to me. But maybe most of all, the melancholy in “Brown’s the Saddest Color” hit the bullseye of my soul. I still remember the lyrics to many of the songs. Other than half remembered snatches of the songs floating through my head, I wasn’t able to find the music. But then this morning I decided to Google the lyrics I remembered. And there was a full playlist of the album on YouTube (misattributed to “Joe Hayman”). And a Creative Commons archive of the album on the Internet Archive. And now I’m happily listening to the dated production and less-good-than-remembered singing and refreshing my memory. We have a rare family vacation next week. We’ll be taking the kids to visit some family and then to spend a few days exploring our nation’s capitol. 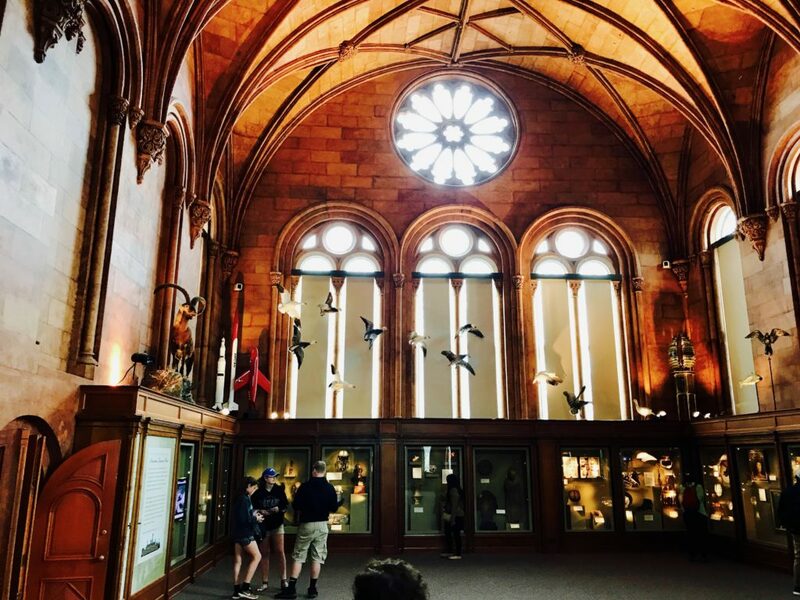 There’s a part of me that will always be excited to visit the seat of our government and of so much of America’s identity, and to expose my kids to our history as well as all the riches of the American Museum of Natural History. That’s not to say that I don’t feel any uneasiness about the trip. My feelings toward our government are definitely tarnished by the current occupant of our nation’s highest office and the horrific car wreck of an administration he’s surrounded himself with. But this will be, I hope, a good opportunity to push reset on some of those feelings and just take in the reminder that we can be better than we are. I am looking back at all the hacks I’ve done over the last few years and it’s fascinating what they reveal. Programming hacks, though I haven’t been a professional developer in 17 years. Musical hacks, though I’m usually neither a bluegrass musician (though I am when our CFO is leading the band) nor a theremin player. Locksmith hacks. (Though I have a favorite locksmith in DC NE. Presentation hacks. Writing hacks. I think what’s fascinating about the way that Veracode does Hackathons is that it’s an opportunity for us all to reach deep and explore some under-exercised facet of our true selves. Or failing that, to sew one on and see if we can make it thrive. Yesterday’s post on the Cabell House is a fiber in an ongoing thread of an investigation to understand the earliest members who took part in the Virginia Glee Club. We know from the January 1871 issue of the Virginia University Magazine that “those gentlemen rooming at the Cabell House, and in that neighborhood, have made great efforts, and we understand tolerably successful ones, to form a Glee Club.” We seek now to understand who “those gentlemen” are. But it’s hard going. The year 1871 predates Corks and Curls, and the 1870-1871 catalog doesn’t list student addresses. I’m still trying to figure out who was the proprietor of 852 West Main Street during that year; Ansel(e)m Brock died in the late 1850s and Pattie J. Daffan isn’t identified through the city directory there until 1902. But with luck we’ll turn up more evidence. The Virginia Glee Club was founded in 1871 by highly motivated singers who lived in the Cabell House, according to the Virginia University Magazine. For several years, we have assumed that the Cabell House, a boarding-house in which famed Confederate “Gray Ghost” John Singleton Mosby shot a fellow UVA student, was located between 9th and 10th Street, based on the finding note attached to the only known photograph of the house in the University of Virginia Library. More fools, we. As one digs deeper into the history of the house, one turns up a handful (only) of references to it in official University and Charlottesville publications. One of those identified a Miss Pattie J. Daffan as the proprietor of the Cabell House. Another publication placed her as the proprietor of a boarding house at 852 West Main Street, only a block from where the Cabell House was supposed to be. It seems pretty clear that this was the actual address of the Cabell House. Why, one may ask, is this exciting? Well, partly because it’s important to know where to pay homage to our as-yet-unknown founding fathers. 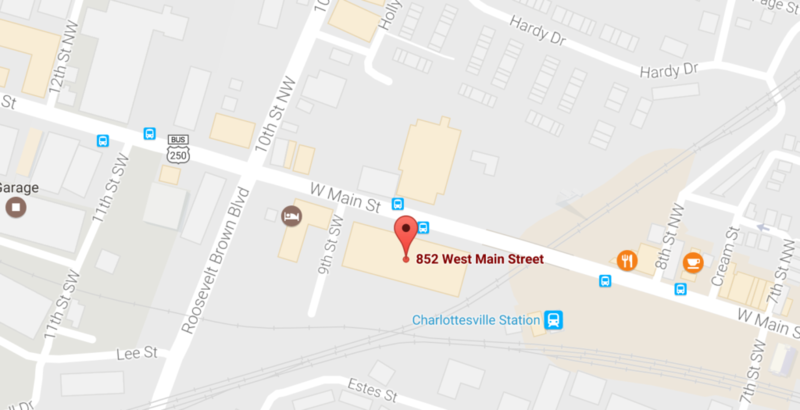 But also because the property between 9th and 10th on West Main Street is a Hampton Inn, but the property at 852 West Main Street is World of Beer (as well as apartments). Surely a World of Beer is a better location for our Glee Club than a motel.